The Italian Ministry of Transport promoted the development of basic and detailed studies for three typical Mediterranean ships: one large passenger ship, one medium Ro-pax ship and one small Ro-pax ship. 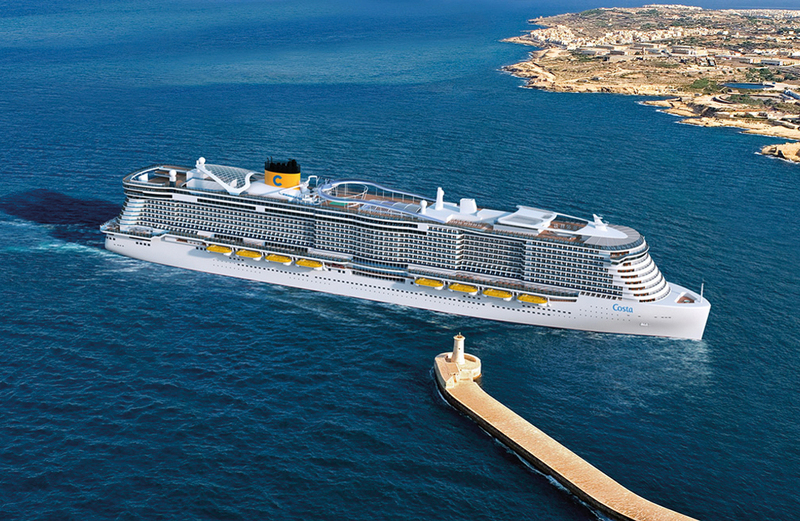 The engineering studies of the large passenger ship concerned the new cruise ships LNG fuelled class of Costa Crociere Lines that will be delivered by 2019. The specifications of the dual fuel LNG ship have been defined and made available by Costa Crociere without EU-co-financing. For the large passenger ship additional studies have been carried out in the framework of GAINN4MOS concerning all those new aspects that have to be adapted, improved and fine-tuned according to the use of LNG as fuel (such as skills and training needs, maintenance, control and monitoring systems, IT platforms & computerized management systems etc.). A typical risk analysis of the large cruise ship bunkering operations in GAINN4MOS ports has been carried out, including appraisals on SIMOPS issues (simultaneous bunkering and passenger handling operations). On the regulatory side, all the necessary studies, interpretation, guidelines and tools as needed for IMO’s IGF Code application have been assessed. Basic engineering studies also focused on the analysis of the proper LNG bunkering system for typical large passenger ships in the Mediterranean. In the start-up period, until appropriate LNG fixed refuelling infrastructures are widely spread and considering the relevant needed amount of LNG, the typical transfer system will consist of ship-to-ship operations performed via mobile LNG infrastructure such as LNG bunkering barges/ships (that could act both as floating storages and as ship-to-ship transfer systems). With the purpose of sharing the main studies results and feedbacks and to foster the LNG uptake in the Mediterranean trough the dissemination of the lessons learned from the GAINN4MOS experience, an executive summary report and dissemination material will be available in this section of the website soon.